Sometimes exterior design calls for subtlety. Sometimes boldness is required. 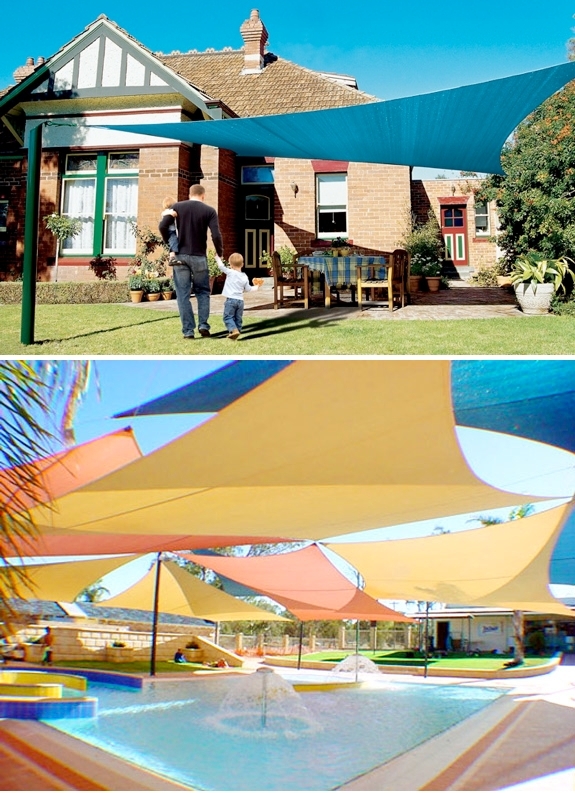 For those latter occasions there are the Coolaroo Shade Sails. 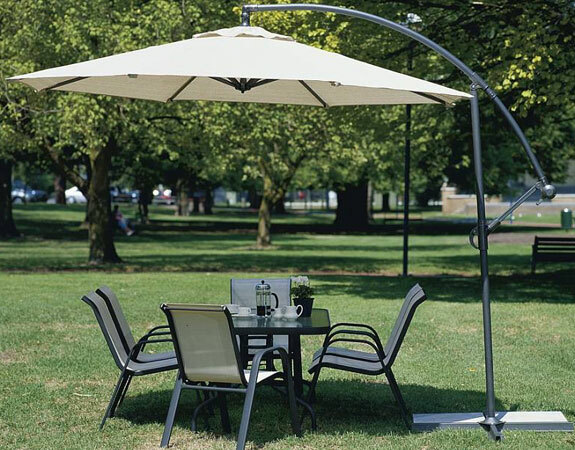 Coolaroo shade sails are not your grandparent’s patio umbrella. They look bolder than that, brightly colored in square and triangle shapes. 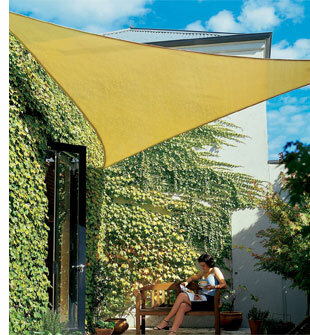 It’s remarkable how one lone shade sail can lend an outdoor space a contemporary touch. 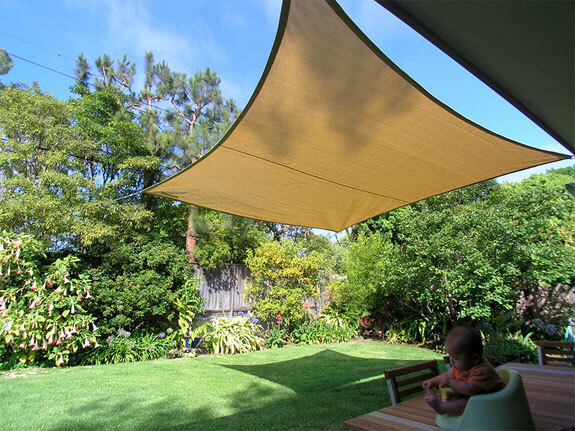 String up a group of shade sails — like in the photo, below — and you can transform a space into something you’d expect to find at a modern art museum. What you can’t see from the photos is how durable the Coolaroo material is. This isn’t like hanging out a sheet. 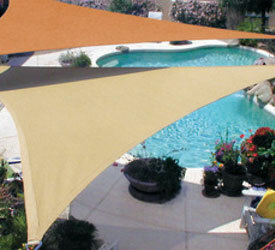 The shade sails are made for life outdoors — perfect to shade an above ground pools or outside patio. The sail’s nylon edges will not tear or fray. 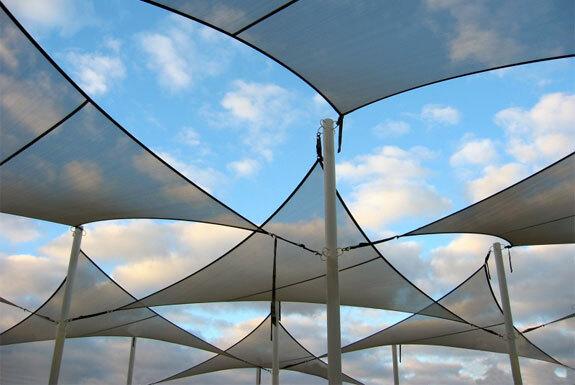 The color of the material remains bright even when permanently hung outside and exposed to moisture, intense sun and temperature extremes. The D-rings on the corners of the Coolaroo will stay anchored to the included stainless steel poles. 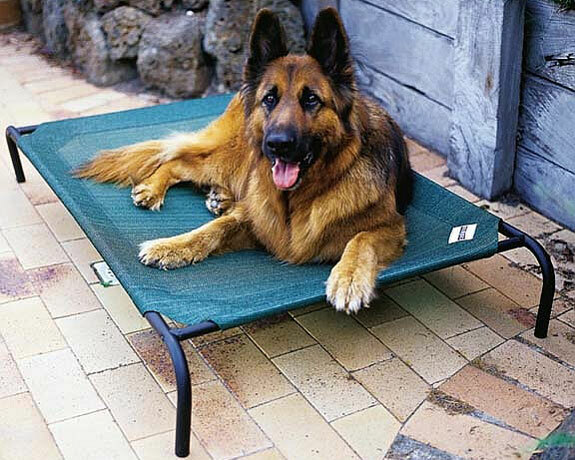 And it isn’t just Spot Cool Stuff saying so — Coolaroo products come with a 10 year warranty. 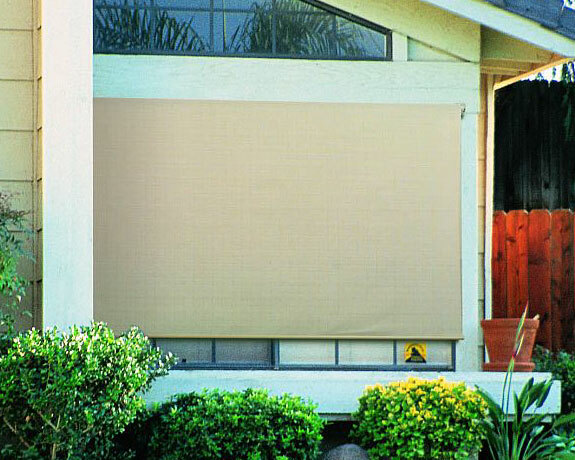 If your shade sail becomes damaged the company will replace it for free. 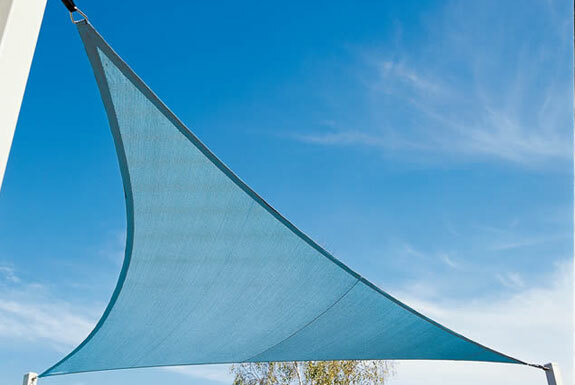 Best of all, the Coolaroo fabric blocks out 90% of the sun’s harmful UV rays while allowing breezes to pass through. So life under a Coolaroo is cool in more ways than one. 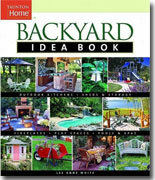 They are wonderfully versatile; they can be attached to homes, trees, or patio columns. In addition, they can be supported by wood posts ro steel poles embedded in concrete footings and are easily taken down seasonally as required.